Carstars Auto Sales is honored to present a wonderful example of pure vehicle design... this 2005 Hyundai Elantra GLS only has 109,901mi on it and could potentially be the vehicle of your dreams! Outstanding fuel economy and sleek styling are two great reasons to consider this Hyundai Elantra. It's not a misprint. And the odometer isn't broken. This is a very low mileage Hyundai Elantra. A rare find these days. You can finally stop searching... You've found the one you've been looking for. There is no reason why you shouldn't buy this Hyundai Elantra GLS. It is incomparable for the price and quality. Check out this gently-used 2005 Hyundai Elantra we recently got in. The greater your fuel-efficiency, the less your carbon footprint. And with exceptional MPGs, this Hyundai Elantra treads ever so lightly on Mother Earth. 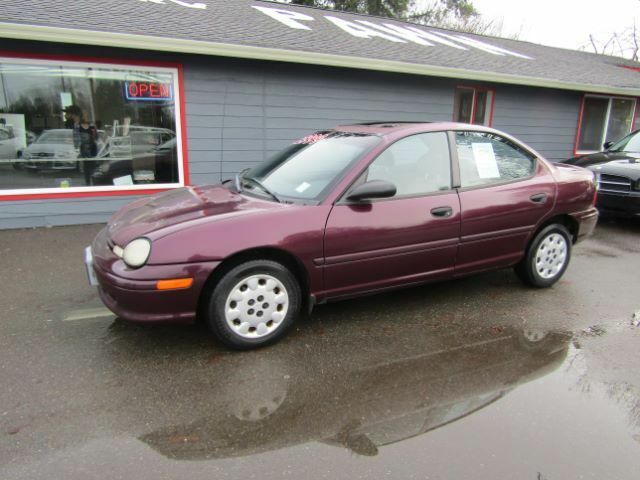 In addition to being well-cared for, this Hyundai Elantra has very low mileage making it a rare find. Look no further, you have found exactly what you've been looking for. This vehicle won't last long, take it home today. This 2008 Honda Civic Cpe EX is offered to you for sale by Carstars Auto Sales. This 2008 Honda Civic Cpe has great acceleration and wonderful styling without sacrificing exceptional fuel economy. There is no reason why you shouldn't buy this Honda Civic Cpe EX. It is incomparable for the price and quality. This is about the time when you're saying it is too good to be true, and let us be the one's to tell you, it is absolutely true. More information about the 2008 Honda Civic Cpe: Honda has built a longstanding reputation with the Civic, positioning it as one of the sportiest and most fun-to-drive small cars. The 2008 Civic emphasizes styling and safety at a very competitive price. Interesting features of this model are Standout styling, safety features, plenty of green choices with Hybrid and natural-gas GX, and reputation for reliability. This outstanding example of a 2005 Toyota Avalon XLS is offered by Carstars Auto Sales. Why spend more money than you have to? This Toyota Avalon will help you keep the extra money you'd normally spend on gas. It's not a misprint. And the odometer isn't broken. This is a very low mileage Toyota Avalon. A rare find these days. Added comfort with contemporary style is the leather interior to heighten the quality and craftsmanship for the Toyota Avalon This Toyota Avalon offers the most up-to-date navigation system available so you'll always know the most efficient route to where you are going. Carstars Auto Sales has a wide selection of exceptional pre-owned vehicles to choose from, including this 2005 Toyota Avalon. Outstanding fuel economy and sleek styling are two great reasons to consider this Toyota Avalon. With less than 59,852mi on this Toyota Avalon, you'll appreciate the practically showroom newness of this vehicle. Intricately stitched leather and ergonomic design seats are among the details in which test drivers say that Toyota Avalon is in a league of its own The Toyota Avalon XLS will provide you with everything you have always wanted in a car -- Quality, Reliability, and Character. You can find this 2005 Toyota Avalon XL and many others like it at Carstars Auto Sales. This 2005 Toyota Avalon has great acceleration and wonderful styling without sacrificing exceptional fuel economy. A Toyota with as few miles as this one is a rare find. This Avalon XL was gently driven and it shows. You can finally stop searching... You've found the one you've been looking for. This is the one. Just what you've been looking for. Carstars Auto Sales is honored to present a wonderful example of pure vehicle design... this 2014 Chevrolet Cruze 1LT only has 80,293mi on it and could potentially be the vehicle of your dreams! Your buying risks are reduced thanks to a CARFAX BuyBack Guarantee. The Chevrolet Cruze 1LT speaks volumes about it's driver, uncompromising individuality, passion for driving, and standards far above the ordinary. It's exceptional fuel-efficiency is a clear sign that not all vehicles are created with the same standards. A truly breathtaking example of pure vehicle design achievement...this is the vehicle of your dreams! The Chevrolet CRUZE looks compact on the outside but is full of features on the inside that make it a driving favorite. Outfitted with a modern 4-cylinder turbocharged ECOTEC engine and six-speed manual or available automatic transmission, the Cruze drives smoothly and has both power and fuel efficiency. Choose the Cruze Turbo Diesel and take advantage of performance and efficiency that diesel provides. Safety features include Anti-Lock Brakes, a full ten airbags, electronic stability control, traction control, and the basic design features you see in larger vehicles. You can also take technology to the max with available Bluetooth, steering wheel audio control, and available OnStar. USB port and satellite radio cabability comes standard, and some trims include the touch-screen Chevrolet MyLink entertainment system onboard. Visit us for more information about all the features packed into this fuel efficient and fun to drive package! Contact Carstars Auto Sales today for information on dozens of vehicles like this 2014 Chevrolet Cruze 1LT. When it comes to high fuel economy, plenty of versatility and a great looks, this ChevroletCruze 1LT cannot be beat. This Chevrolet Cruze's superior fuel-efficiency is proof that not all vehicles are created equal. The Chevrolet Cruze 1LT will provide you with everything you have always wanted in a car -- Quality, Reliability, and Character. This is about the time when you're saying it is too good to be true, and let us be the one's to tell you, it is absolutely true. The Chevrolet CRUZE looks compact on the outside but is full of features on the inside that make it a driving favorite. Outfitted with a modern 4-cylinder turbocharged ECOTEC engine and six-speed manual or available automatic transmission, the Cruze drives smoothly and has both power and fuel efficiency. Choose the Cruze Turbo Diesel and take advantage of performance and efficiency that diesel provides. Safety features include Anti-Lock Brakes, a full ten airbags, electronic stability control, traction control, and the basic design features you see in larger vehicles. You can also take technology to the max with available Bluetooth, steering wheel audio control, and available OnStar. USB port and satellite radio cabability comes standard, and some trims include the touch-screen Chevrolet MyLink entertainment system onboard. Visit us for more information about all the features packed into this fuel efficient and fun to drive package!